with no plans of going any where because they're forecasting 6 -12 inches! My Favorite Things - monthly Birthday Project. 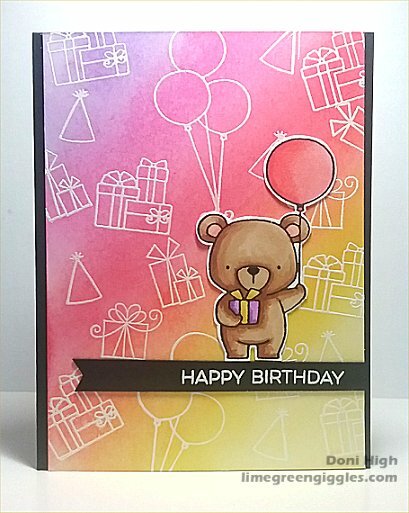 I used the MFT BB Beary Special Birthday stamp set. Adorable! Love this card! Sometimes being "stuck" in the house is just what we need! What a fun card Doni and LOVE that background ... great job! Yep! Still snowing here too and I'm going to just keep making cards and baking cookies! LOL See you when the roads get better! Stay safe & warm.